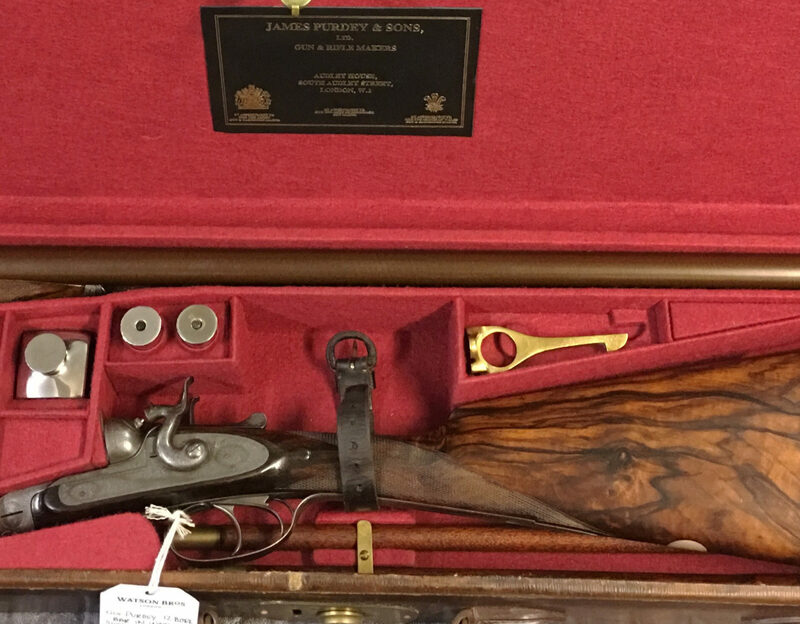 Manufactured in 1866, 12 bore hammer gun, non rebounding locks, very good condition barrels. 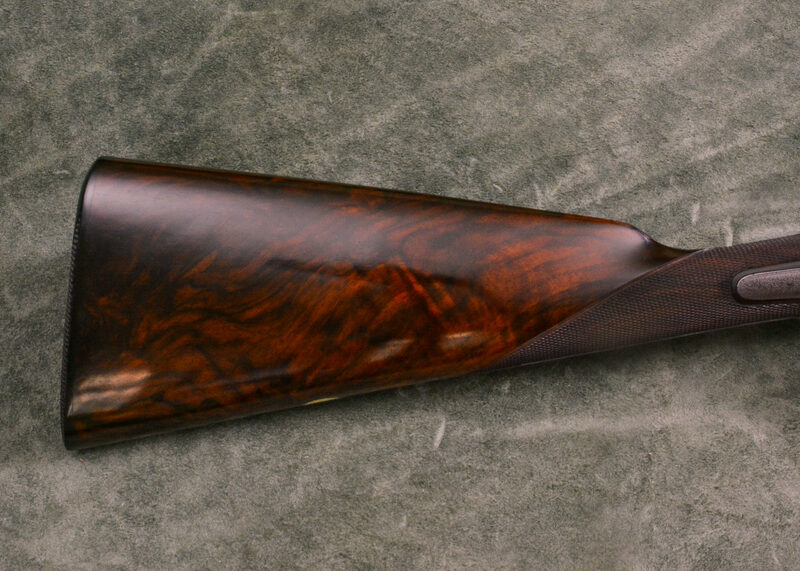 Double trigger, 30” damascus barrels with 1/4” chokes, 2 1/2” chambers. Stocked to 14 3/4” with finished weight of 6lb 12oz. Originally built for A.J. 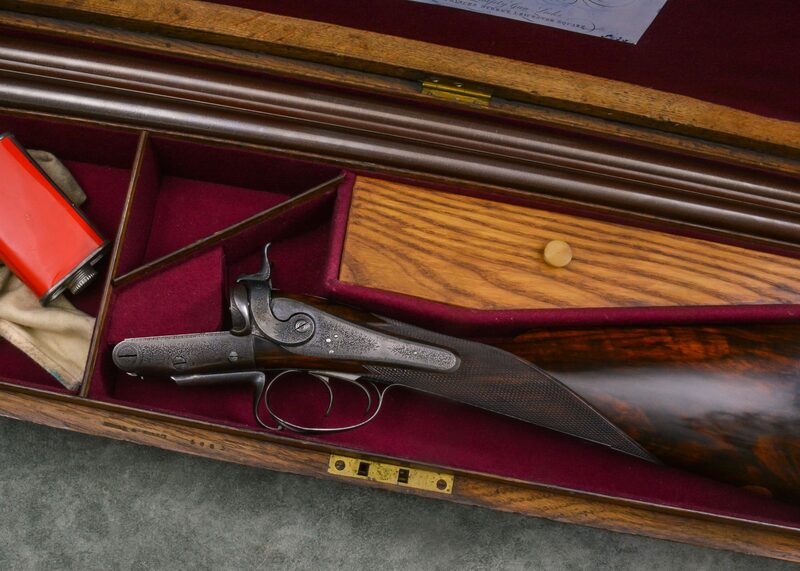 Roberts, alongside 7163 but was sold separately, heelplates were later added to the order for this particular gun. 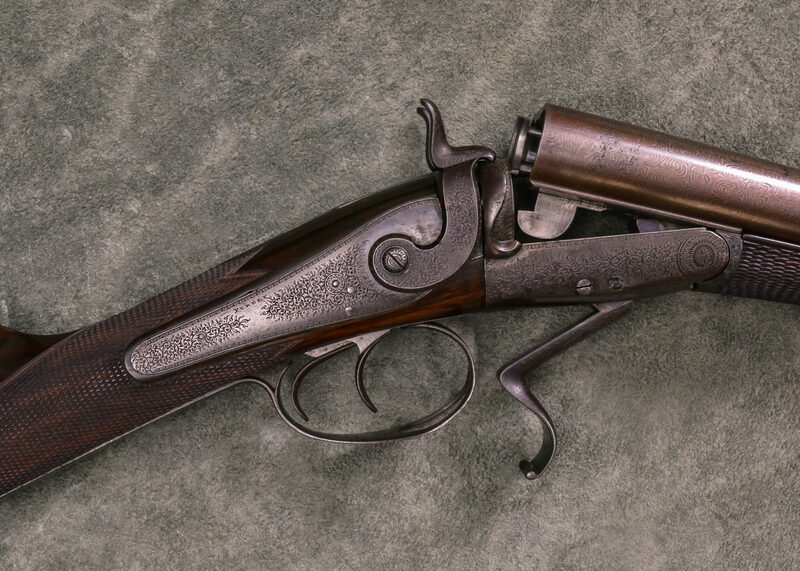 An early centre-fire hammer gun with Purdey 1st patent thumb lever. 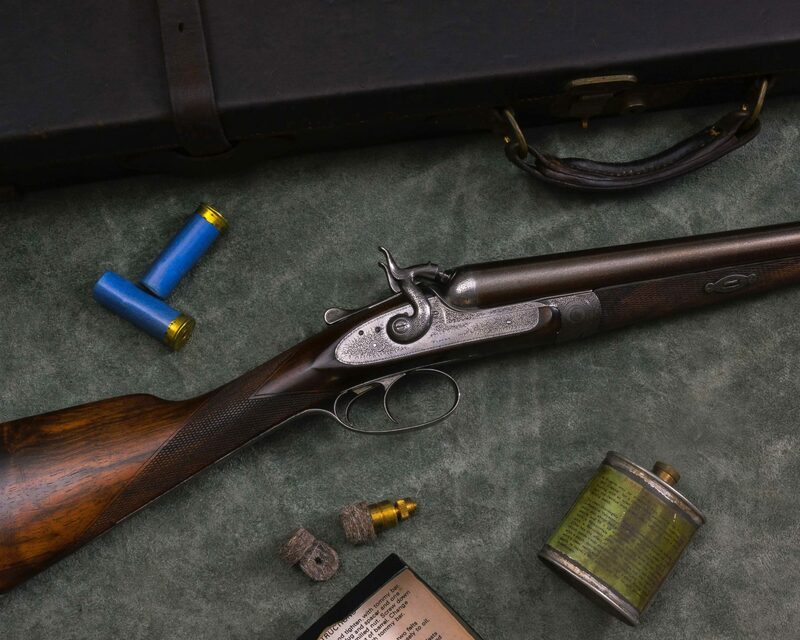 The first centre-fire was made in 1865. 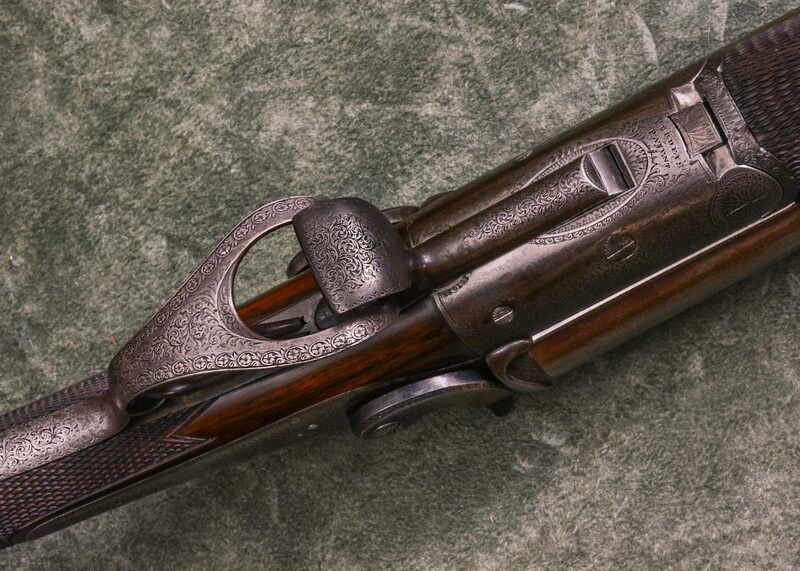 This gun features a bifurcated trigger guard with the first of two thumb lever designs – the more rare design. 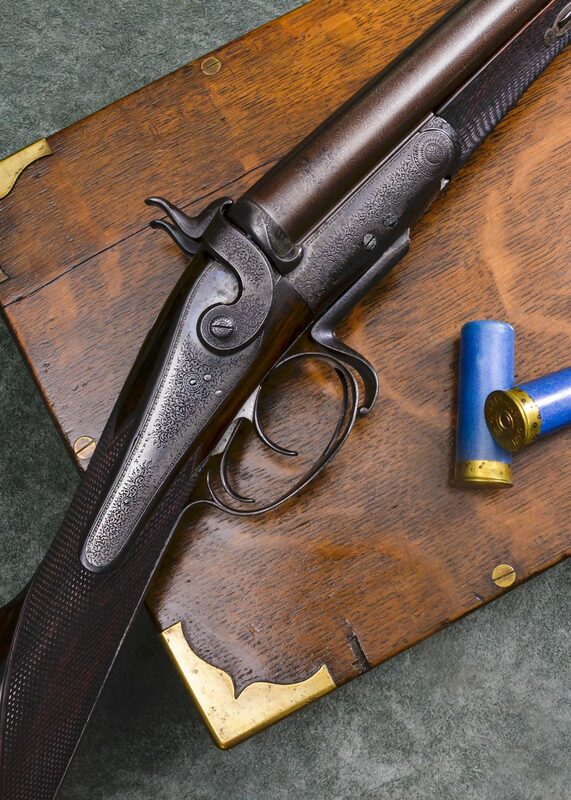 Part of an interim style between pinfire and centre-fire produced from 1865 to 1867, of which only 318 shotguns were made. They were centre-fire guns that looked like pinfires. The hammers are in pinfire style with the strikers attached to them and when drawn back, retract the strikers. 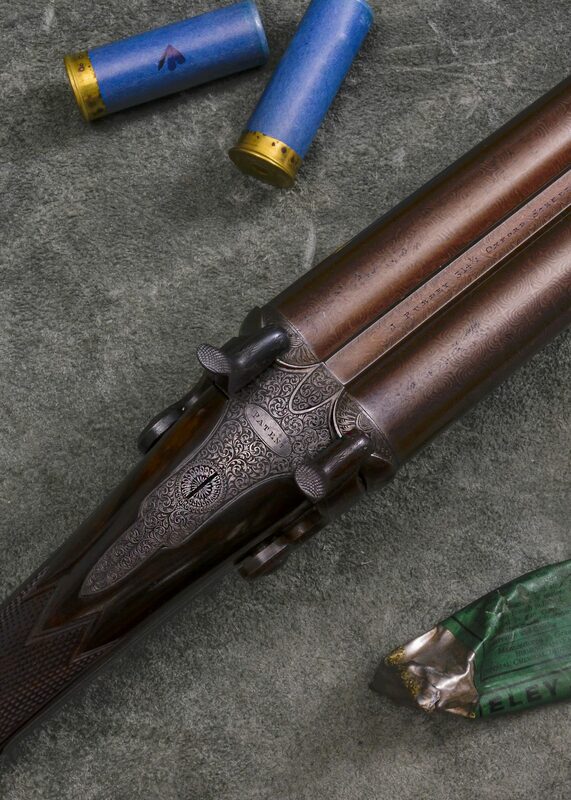 The breast of the hammer hits the striker, the pinfire head being merely an adornment. The action has pinfire fences and an elongated top strap. 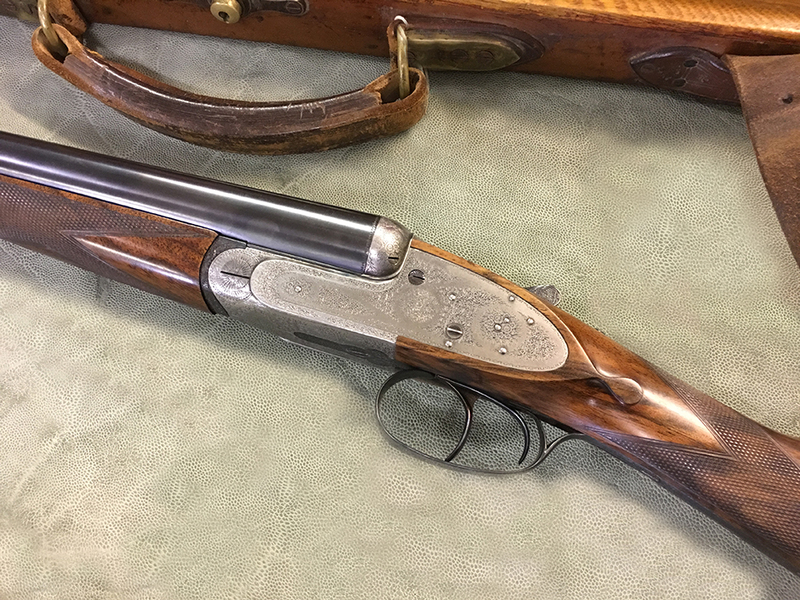 It displays two Purdey patents, a first pattern thumb hole (patent no 1104) and also retractable firing pins (patent no 424), both of which are shown in the photographs to the left. 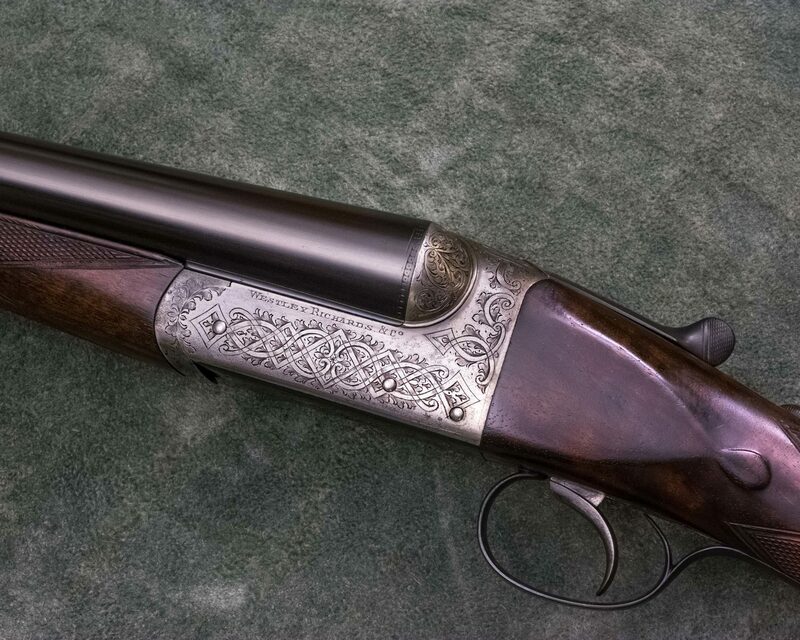 Lastly, this rare hammer gun was engraved by James Lucas. 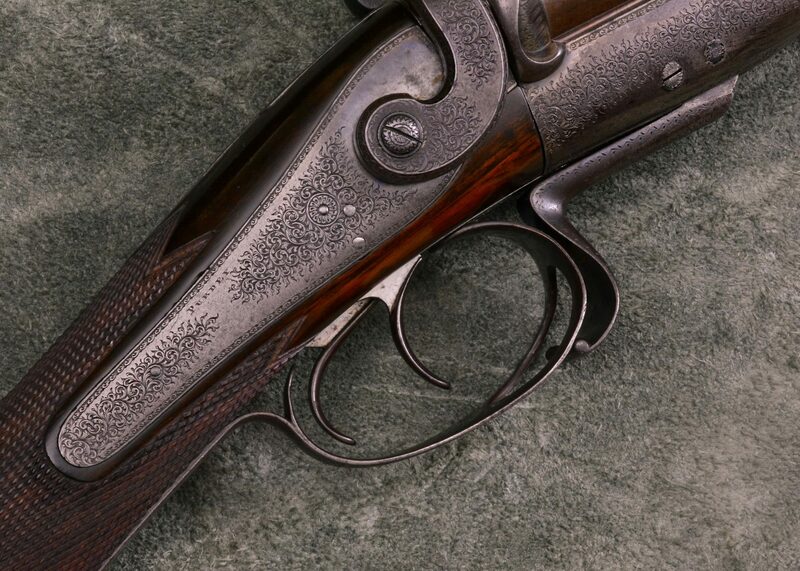 He introduced the finer engraving style to Purdey, including the finer and tighter border on the lock plates. He would later go on to create the traditional fine rose and scroll design we know today in the mid 1870s. 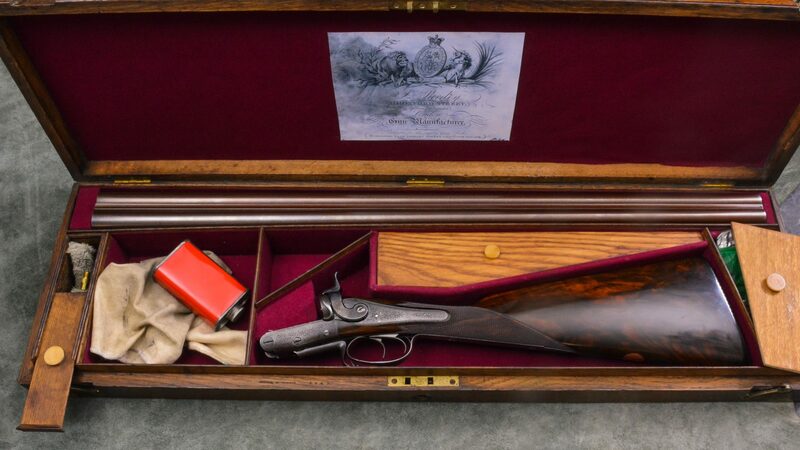 All beautifully wrapped in an oak case with traditional Purdey red baize lining.